Discussion in 'OS X Yosemite (10.10)' started by devin9086, Nov 1, 2014. I have been getting problems on my Macbook pro 13", Early 2011. Yes, Old I know. My mac is running OSX Yosemite and when I open my terminal to mash in some codes, I get greeted with a "Process Completed" in the Terminal and I can't seem to get rid of that! I would greatly appreciate some professional help. But I know that the last resort is to restore my Mac. Thanks for y'll answers in advanced! Upon quitting and reopening terminal you shouldn't get process completed. 1. Under general, check sure "shell opens with" is set to Default login shell. 2. Under profiles -> shell make sure run command is empty and unticked. It could be a problem with your user too. In System Preferences, go to Users and Groups, unlock if necessary, right click on your user, and choose advanced. The login shell should be /bin/bash - if it isn't, you can change this, but don't change anything else or you could screw your account up. Sad to say, Everything is the way it should be. But it still gives the [Process Completed] Command! 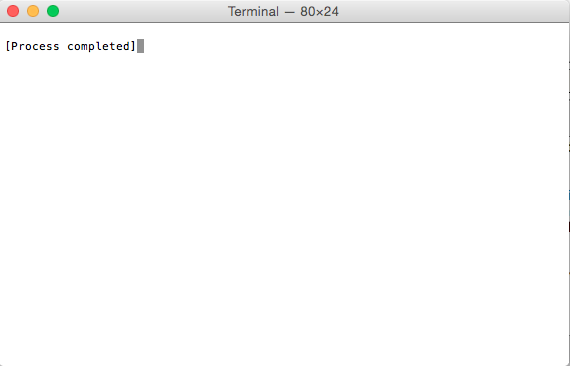 I did delete the "com.apple.Terminal.plist" too, As suggested by another site! But other than that, Still the same problem! And I have just checked, It affects all accounts on the computer. Does the [Process Completed] occur after every command or just the exit command? If it is just the exit command and you want the terminal window to close, go to Terminal Preferences, select the Profiles tab, select the profile that you are using, select the Shell sub-tab and change the When the shell exits: drop down. Change it from the default Don't close the window. Hey! 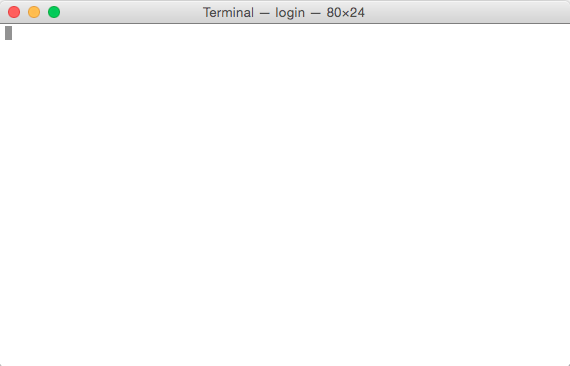 Unfortunately, It shows that when I open the Terminal. So, Basically.. I cannot type anything into the terminal. Like I'm locked out of the Terminal. http://i.imgur.com/kkkxZtQ.png - When Launching - Notice the top of the Terminal. http://i.imgur.com/2B19HO3.png - When Terminal has Initialised. No commands can be inputted. Do you still get the Process Completed? Yes I do. I get it for all the different types of windows too. You won't get much change if you try deleting the com.apple.terminal.plist file - as Yosemite keeps those plist files cached, and retains the same settings if you don't restart before deleting the plist. So, Launch terminal. Then, close whatever window opens. Check in the Windows menu to make sure that there's no hidden windows still open. Now - launch Terminal, which should be back at the defaults. If not, try the same sequence, along with restarting again. Try renaming your .profile and .bashrc files. There could be something in one or both of those files that is causing the shell to exit. I've tried that, But still.. The same problem. Could you walk me through it? Sorry, I'm not good in these stuff. Make the changes in the red box below and open a new window. Bummer. I thought maybe it couldn't find /bin/bash, but when I change the shell command name I get a different message than you're getting. I'm just grasping here, but there might be something corrupted with your user account, so I would create a new user account with administrative privileges and try again. Also, maybe it's time for you to poke around the Console utility and look for interesting error messages. Guys now I am having the same problem, process completed as soon as I log in. I have tried literally every single thing on this page except erasing my computer.